Next we decided to concentrate on the hallway area. 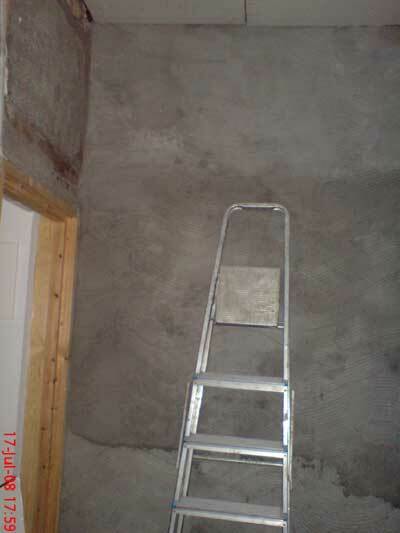 Several bags of cement were required in order to render the gable end wall to the same level as the old plaster that was removed. Three layers of rendering were added, each with plenty of PVA added to the mix to ensure that the rain will be kept out this time! A couple of sheets of standard grade plasterboard were bought in to replace the area of the ceiling that was removed. This part of the job took far longer than anticipated.